Celebrate your relationship with ethically sourced engagement and wedding rings from Brilliant Earth. 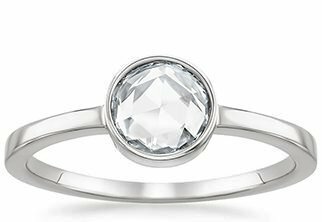 Our engagement and wedding rings are handcrafted from recycled precious metals and set with beyond conflict free diamonds and ethically sourced gemstones. 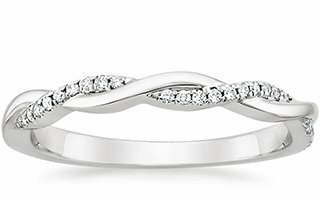 We offer a variety of rings that couples can pair together in any combination. 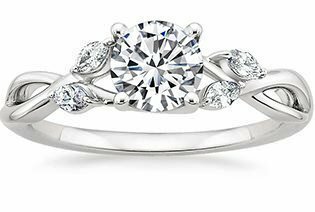 We love that all couples can pursue their own personal styles when choosing wedding jewelry, whether forging new traditions or participating in classic ones. 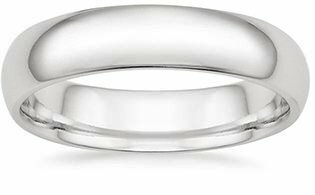 The ring pairings chosen by our LGBTQ customers vary widely, though many of our customers choose engagement and wedding rings that either match or have common elements. 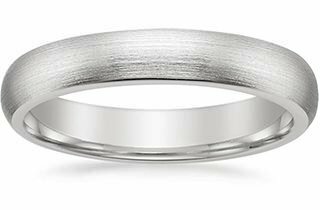 To celebrate the variety of possible engagement and wedding ring pairings, we’ve included a list of just some of the possible variations that are popular among our customers. Choose identical settings set with different gemstones for a stunning pop of color. 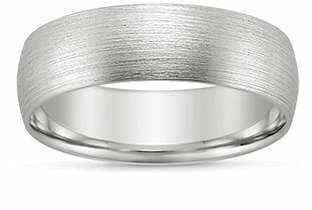 Wear a consistent band style with different widths to suit each partner’s unique style. Subtly express your personal styles with distinct gem accents on matching rings. Split up a matched set so one person wears the engagement ring and the other wears the wedding ring for a cohesive wedding jewelry theme. 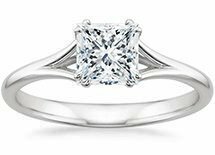 Consider different engagement rings that are tailored to your individual tastes. 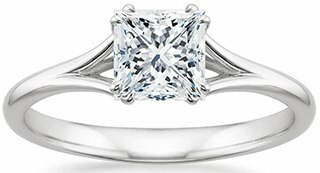 For a classic look, choose matching wedding bands or engagement rings. 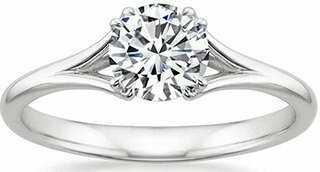 Explore our selection of unique rings for even more ideas to celebrate your engagement and marriage, including vintage rings, non-traditional rings, custom rings, and gemstone rings. 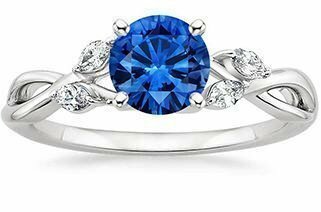 A vibrant gemstone engagement ring is a stunning, unexpected option. 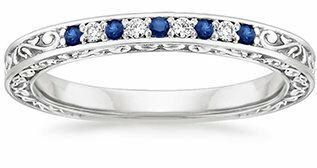 Many couples opt for a distinctive sapphire in a rainbow of colors including blue, teal, pink, and peach, while others choose an aquamarine, moissanite, or other gemstone. 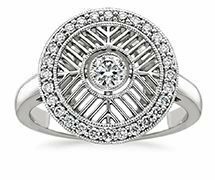 If you love vintage styling, consider our collection of antique engagement rings. 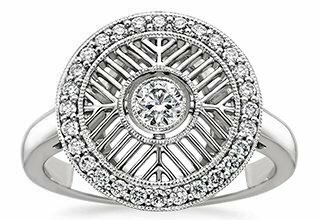 These one-of-a-kind rings from past eras lend a special romance to your jewelry and your commitment. Some of our gay and lesbian customers prefer non-traditional engagement rings as an alternative to a traditional setting with a showcased center diamond. 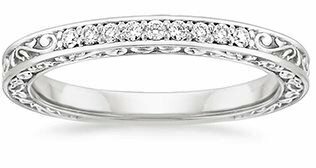 Diamond bands, rings that feature three or four diamonds, and detailed bands without diamonds are all stunning ways to celebrate your engagement and marriage. Brilliant Earth offers full-service custom design for couples who prefer to create a unique design to celebrate their marriage. 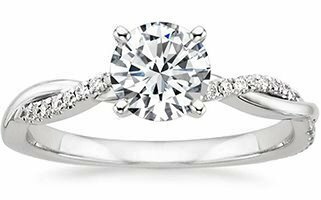 Our experienced designers can help take your ideal wedding and engagement rings from vision to reality. Couples work closely with our designers to bring their unique vision to life.